3D Artist is one of the top publications in the world for bringing practical inspiration to the 3D community. Featuring some of the best artists in the industry, you'll receive behind-the-scenes insights and expert workflows from artists at the top studios around, from Pixar to ILM and Ubisoft. 3D World is one of the leading magazines for artists with an interest in visual effects, motion graphics, modelling and rendering, for any industry, from film and TV, to sculpture, music videos and architecture. 3D World and it's editor Rob Redman, offer practical inspiration to the CG community and the magazine celebrates the very best achievements in CG, through features and training from such studios as ILM, MPC, Framestore, Weta and many more. The ACM Digital Library (DL) is the most comprehensive research platform available today for computing and information technology. Each year, roughly 20,000 newly published articles from ACM journals, magazines, and newsletters, as well as more than 500 annual conference volumes – representing nearly 20% of the world’s scholarly computing literature – are added to the DL’s complete full-text archive of over 460,000 articles. Since launching in 1996, Animation World Network - AWN.com- has become one of the largest, most comprehensive and respected publishers of animation and visual effects news and information resources on the Internet. Key publication websites include AnimationWorld Magazine, VFXWorld Magazine and the Animation Flash e-mail newsletter. Each month, AWN’s portals are visited by over 300,000 unique readers from more than 100 countries. AnimationXpress India Private Limited is one of the world's leading portals for news and information on Animation, VFX, Gaming and Comics industries. It is led by Anil Wanvari, the founder, and editor-in-chief. Through news, features, forums, case studies, analysis, promotions, as well as through online community services such as forums, galleries, etc, AnimationXpress acts as an information facilitator and a knowledge catalyst for the AVGC community. CGVisual.com is the computer graphics and Interactive technologies community for professionals and enthusiasts in Hong Kong. CG Visual is an ideal marketing platform for various kinds of marketing activities, such as membership recruitment, sales and promotions, contest etc. CG Visual is a bridge built to link and fulfil both the members and marketers’ needs and at the same time achieving a win-win relationship. CGWORLD Magazine is the monthly industry magazine specializing in computer graphics (CG), video and digital content creation since 1998 (Published by Born Digital Co., Ltd). Currently CGWORLD is the only industry magazine related CG in Japan and widely read by college students, amateurs and creative professional. In 2010, For more information, visit at www.cgworld.jp. DV Asia is an online pro video resource for creatives in China, Hong Kong and Taiwan. Founded in 2012, DV Asia has been serving global hardware manufacturers and software developers in Asia Pacific region. We connect film/video professionals and manufacturers through variety of events, online and offline. The Eizo Shimbun covers contents creation industry for more than 50 years. The Eizo Shimbun is published every week, 48 issues for one year. Its focus is visual communication methods in the industry. Also, the newspaper covers on science and technology, regulations and policy. The newspaper reported first SIGGRAPH conference for Japanese readers in 1974. A game industry evolves with the progress. Prosperity of mobile games, business success of indie games, and the rise of new technologies such as VR, game industry change daily from day to day without stopping the progress, the development environment and the market also have undergone drastic changes this decade. GameBusiness.jp, first Japanese game business specialized media established in 2009, will walk with readers who think about future of the game industry. The goal of InCG Media is to grow the Taiwanese CG community and interact with international marketing. We are a team who love the computer graphics industry, focusing on planning activities and promoting international exchanges. Each season, we publish InCG magazine and look for excellent exclusive interviews with companies and talents. We also arrange international reports on the Internet. We hope that through the efforts, we will enhance the integration of Taiwan and the international market. Mogura VR is the top VR/AR/MR web publication in Japan. We provide essential info every day to know this industry, news, report of new devices, interviews and columns with deep insight. Visit our website for details. The only international magazine with controlled-circulation system, serving in Japan since 1997. As each issue covers stories without borders, every issue is like an international exhibition with participants from all over the world. TV TECHNOLOGY Group has staff in several cities in North America, Latin America, Asia, China and in Europe and we present ourselves in all major trade shows with extra distribution copies. vfxblog.com is the website of Sydney-based visual effects and animation journalist Ian Failes. Here, Ian collects links and summaries of various articles he has written for different industry publications, along with a wealth of original reporting on the making of the latest feature films, plus an on-going series of ‘retro’ visual effects stories on landmark projects in VFX history. 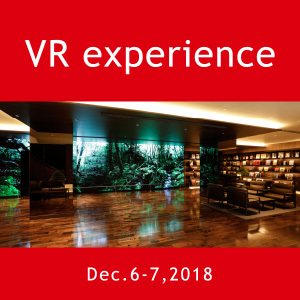 VRonWEBMEDIA delivers related topics of a state-of-the-art technology such as XR (VR/AR/MR), A.I., Computer Graphics, Cyber-Physical System, Internet of Things and Blockchain. We are publishing the latest news, stories, interviews, columns etc from time to time. Please visit our site. Visit our site for details at https://vron.jp/.